A pea-sized quantity of paste will do; tap the brush so that the paste sinks into the brush and is available for brushing all the teeth. Rinse Your mouth after every meal. Brushing movement should be up and down. Horizontal brushing merely wears away teeth. 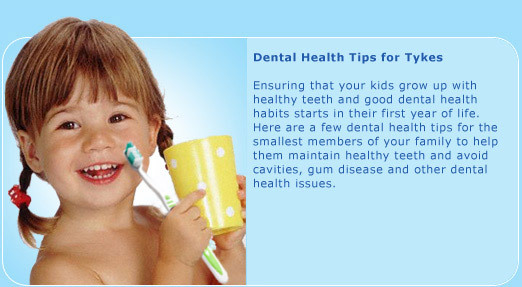 Brush the inner sides of the teeth too, not just the side facing outside. Brush your teeth at least twice a day before going to bed and on waking up. Use toothbrushes labeled 'soft' unless specified other wise by the dentist. Overhaul toothbrushes every three months. Use any toothpaste, preferably of the herbal kind. The best mouth wash is salt water-two tablespoons of salt in half a glass water, unless you have hypertension. Do not keep snacking in between meals. This keeps food particles constantly available for the bacteria to chew on and cause tooth decay. Moreover, the saliva remains acidic for 30 minutes after food is taken in.